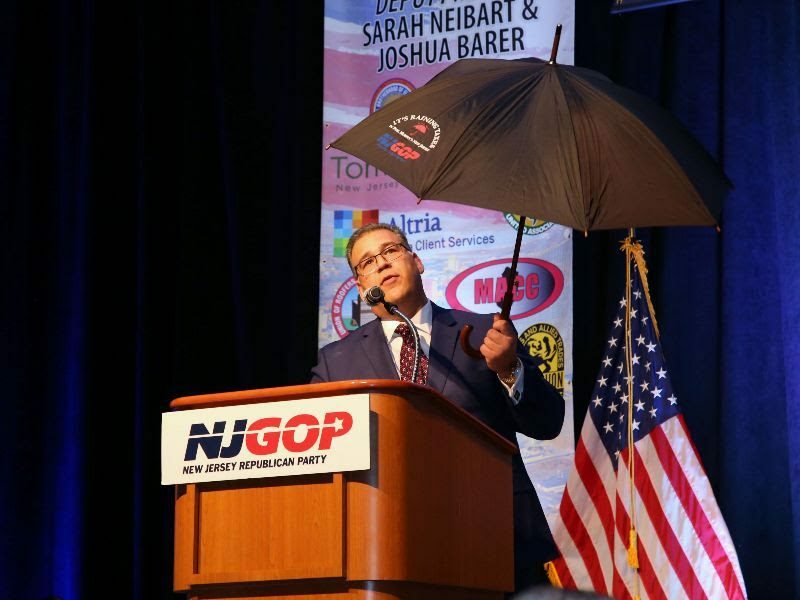 TRENTON-An online poll by Save Jersey shows that in a pack of four possible candidates for the Republican nomination to challenge Phil Murphy in 2021, New Jersey GOP Chairman Doug Steinhardt is the favorite. Save Jersey asked its readers whether they would choose Steinhardt, Jack Ciattarelli, Sheriff Shaun Golden or NJ101.5 talk show host Bill Spadea and Steinhardt showed a landslide lead over the pack. Spadea, the boisterous host of Chasing News and radio personality trailed the pack despite his large media and social media reach across the state. Steinhardt received over 55% of the vote as of Saturday afternoon with Ciattarelli in a distant second place with 22%.